As a third-generation engineer, Matthew Arcara has the artistry, passion and obsessive attention to detail needed for instrument building in his blood. He built his first guitars as a middle school student developing a knack for woodworking; and he’s continued to develop his craft ever since, doing stints in high-end residential construction, custom cabinetry, furniture and commercial fixtures while gleaning priceless insight about the process of guitar making from master luthiers such as Julius Borges, John Slobod of Circa Guitars, Scott Conley and Jon Cooper (Volinmaker). Matthew’s unique stature in the world of lutherie comes from the countless hours he’s logged as a professional and competitive guitarist. His dedication and persistence paid off in 2006 when he won the prestigious National Flatpicking Championship at the Walnut Valley Festival in Winfield, Kansas. He is the founder of the progressive stringband, Joy Kills Sorrow, with whom he has recorded four albums and toured internationally. 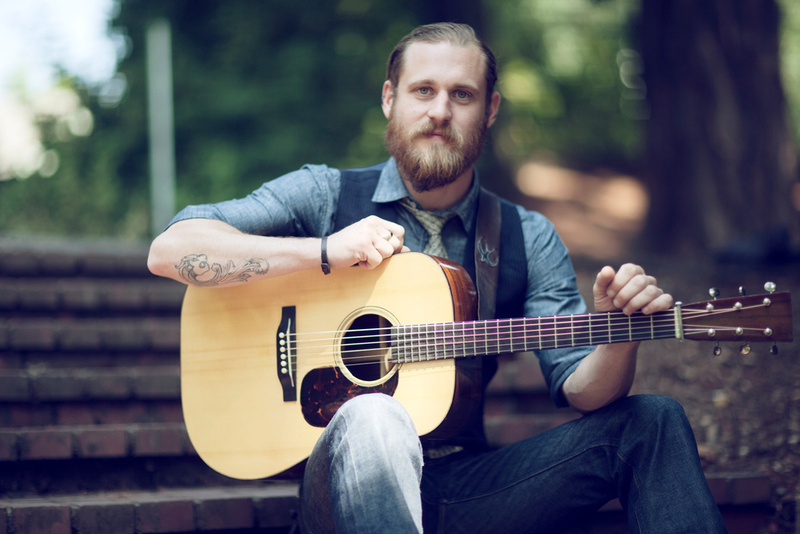 Matthew has performed at the Telluride Bluegrass Festival, Rockygrass Festival, Hardly Strictly Bluegrass, A Prairie Home Companion and been featured on NPR and Folk Alley's best of 2013 list. As well as having videos featured on Rolling Stone, MTV, VH1 and CMT. This real-world time spent among hundreds of fellow players has informed Matthew’s build philosophy as much as anything else has: he knows what to put into a guitar to insure his client gets the most out of it, and tailors his instruments to their playing styles on a personal basis. MGA Guitars are influenced by the now-legendary dreadnoughts and orchestra models built by C.F. Martin in the 1930’s. Their bracing patterns and design are based on specific pre-war guitars that have inspired Matthew as a player and student of the subtleties of acoustic tone, yielding balance and evenness across the harmonic range of the instrument. The construction process utilizes hand tools whenever possible, to minimize wasted material and maximize the ability to shape the voice of each guitar according to client specifications. Hot hide glue is used for every joint in an MGA guitar, which imparts their trademark crispness, resonance and volume. Whether you’re in front of a microphone on the stage or in the studio, or whether you’re playing for family and friends in the living room, an MGA Guitar is an heirloom-quality instrument that you’ll be able to rely on for a lifetime.